The PM2 toolsuite allow developers, SMB and Enterprise adopt Node.js confidently. We have 3 products, PM2 Runtime, PM2 plus and PM2 Enterprise. PM2 Plus : Is a powerful SaaS that allows you to supervise and to manage applications and servers in real-time with using a beautiful dashboard, that is capable of monitoring from one to hundreds of applications on numerous servers. 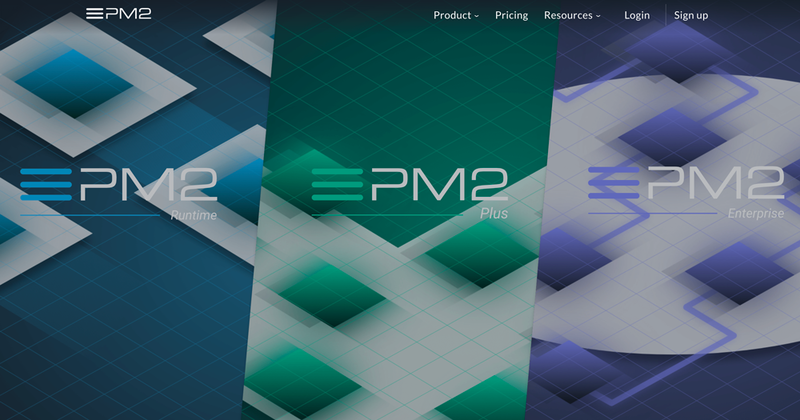 PM2 Plus is built on top of PM2 Runtime. PM2 Enterprise : Monitoring apps in production is a very important and critical part in any application development but ecepecially at high scale envirement. PM2 team has developed an Enterprise ready toolset with features like : Log Storage, Heap Profiling, App auto remediation. It also comes with custom training and support specialized in Node.js.